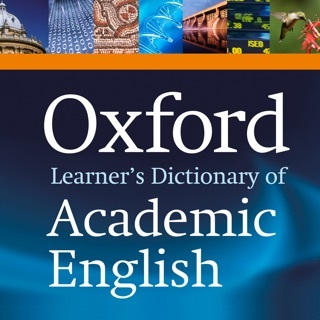 The Oxford Dictionary of English is widely accepted as one of the highest authorities in the study and reference of the English language globally, with more than 150 years of research into it. Regarded as one of the flagship products in Oxford University Press catalog of dictionaries, the app features advanced search, lookup and learning tools designed by a vastly experienced developer. • The strength of The Oxford English Corpus' research excellence, directly placed at your fingertips. • 75,000 audio pronunciations of both common and rare words, including those with varying pronunciations. This app is tailored to professionals, students, and academics alike, as well as anyone who needs a comprehensive and authoritative dictionary of current English at work or at home. Great but not yet exceptional. It’s for one important reason, there isn’t any sort of thesaurus. Not even a basic elementary listing of synonyms “under” the main definition is presented. I truly believe that this should be a rudiment staple seeing how synonyms are the main way we learn and comprehend. For the listed price of the app, this must be accompanied with some form of thesaurus. There is no way around this truth. Implement this and your app will instantly be 5 stars. ** Updated: Issues when scrolling through words. Whether it be on my “Favorites” listings or through Word of the Day. It seems to be an issue this app has in being touch responsive. For instance, I will tap the back arrow to go back but it will only repeat the same word audibly over and over. Also: When I search for a word and want to put it into a particular folder under my “Favorites” I have to manually put it into that folder. This takes to much time. Especially for an app at this price. Overall, this app lags often, the Word of the Day reminder rarely corresponds with what shows inside the app once you open it up, the inability to simply press and hold your finger to copy/paste. I could continue on... I have changed my rating from a 4 to a 3. I enjoyed it until those “post a review pop-up” multiplied! “Did you enjoy our app?” Well I did. Sure, it’s not the OED (missing those great examples and very thorough definitions), but it’s fast, it works with split screen, offline. It’s a great companion to a good editor when you want to write. That was *until* the developer started to ask me to post a review almost systematically when I opened the app (the timer to request as you said no is set to 5mn or so)! To add insult to the injury, supposedly iOS 11 allows you to stop that kind of nonsense inside the preferences of the App Store. Nevermind that, the developers found a way to continue to pop up request you to post a review, probably through a loophole. So here is my review: Stop bothering your core base and your loyal customers! If you were a struggling little company with ad-based app, that would perhaps be understandable. But you have very well known product, and I paid for your app! So “Did you enjoy our app” Yes, until you could not stop asking me that. It’s becoming almost unusable given the interruptions you are adding to my workflow. If you want a better review, fix that first. Oxford Dictionary of English app doesn’t require internet connection, and the audio pronunciation works offline so that I can access it anytime without having to rely on WiFi or airtime. This app makes it easier to find the exact meaning of the word and phrases with fast lookups, and it allows you to create favorite folders with lists of words. 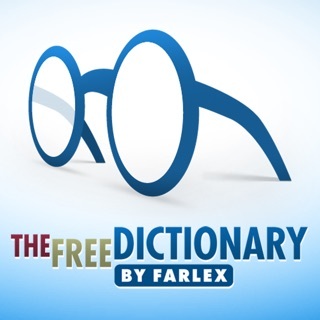 This is a sleek dictionary app with a high quality pronunciation, and a user friendly interface. I love it! Thank you!